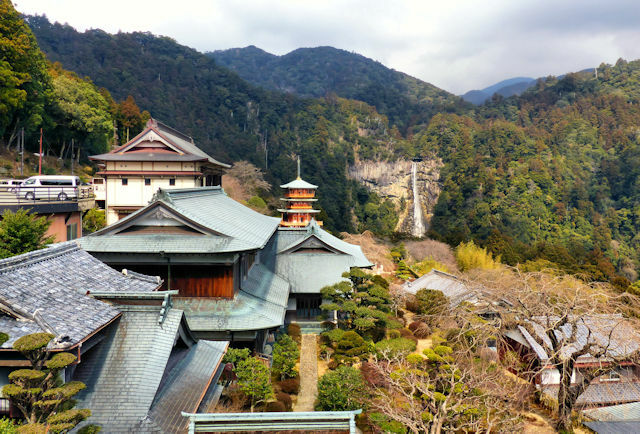 The Nyorindo, the main hall of Seiganto-ji, the Tendai temple that is the "buddhist" part of the shrine-temple complex at Nachi, next to the highest waterfall in Japan. The current main hall dates to 1587 and was built by Hideyoshi after the original buildings had been razed by Oda Nobunaga. It's the oldest extant building in the southern part of the Kii Peninsula. 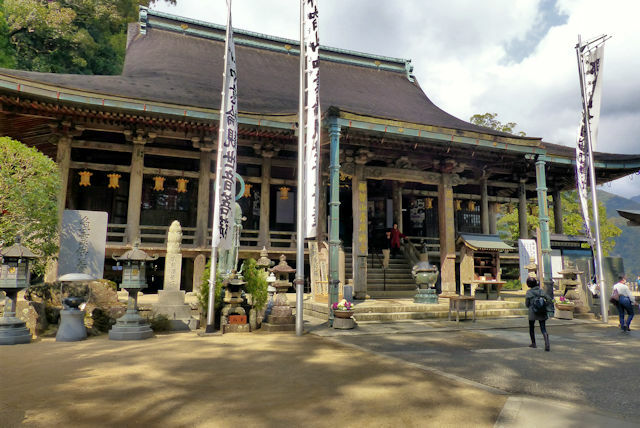 I was here because it is the first temple on the Saigoku Pilgrimage dedicated to Kannon, and probably the oldest pilgrimage route in Japan. According to the legend it was founded in the 4th Century by a monk from India. In the first years of Meiji Buddhism and Shinto were forcibly and artificially seperated but still today the complex occupies the same space. 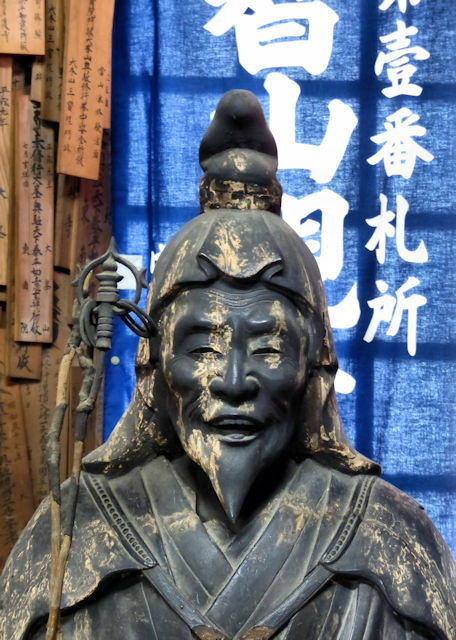 En No Gyoja, legendary founder of Shugendo, an ecelectic mix of Daoism, Mountain worship, Shinto, and esoteric Buddhism. 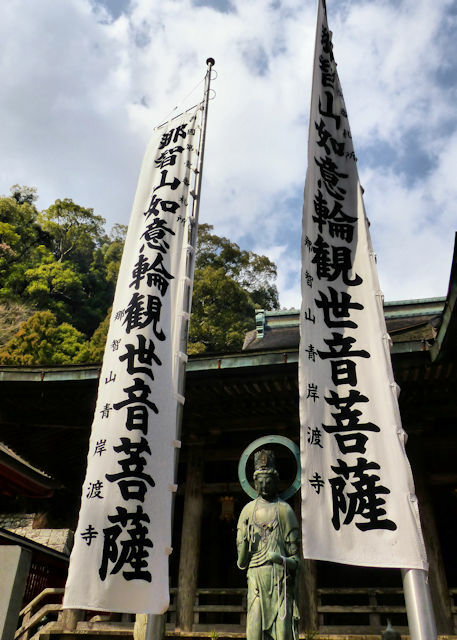 Seigantoji is part of the Kumano Sanzan, the three sites in the Kumano region that were a major center for Shugendo in historical times. It's a fairly large complex spread over the mountainside. Previous posts include the trail leading up to the complex, the shrine complex right next door, and of course the pagoda with waterfall behind. 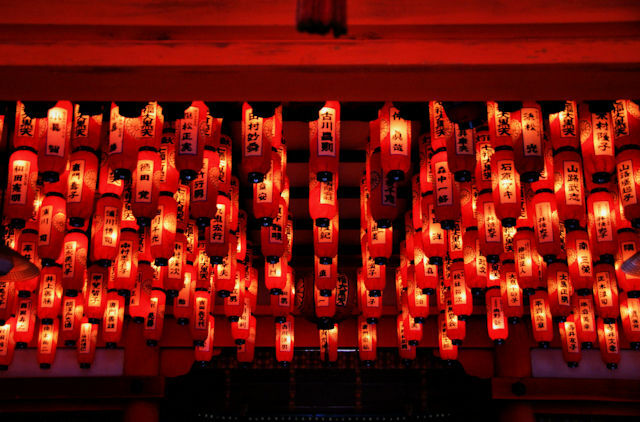 Above the main hall is the Nyohodo, the Hall of Lanterns, dedicated to Daikoku, one of the 7 Lucky Gods.